How are you doing?Today I am reviewing something for the hair!Likewise our body our hair also needs food in order to grow & appear healthy.Thats why proper haircare is the first step to achieve healthy & shiny hair. 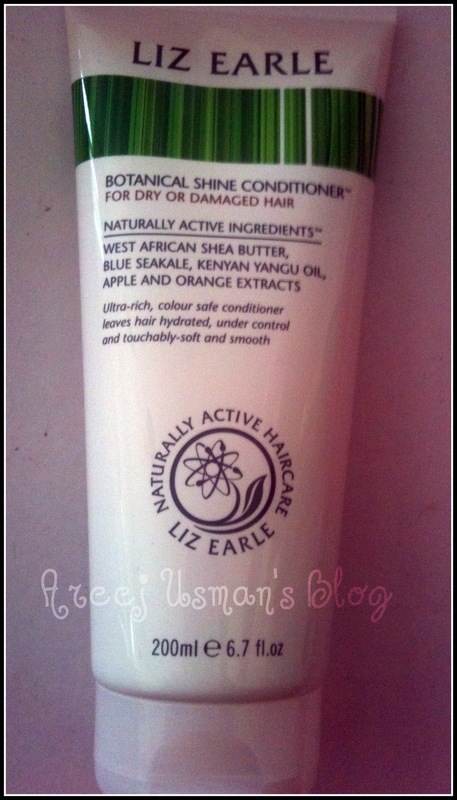 The products I am reviewing today are the Liz Earle Botanical Shine Shampoo & Botanical Shine Conditioner(Dry or Damaged Hair).I have been using this combination twice weekly for the last two weeks now and I am amazed at the results.Though the pix I have added in this review are after only 1 time use. We’ve used our botanical skincare expertise to create a gentle yet effective haircare range. Simple and fuss-free, it is all you need for touchably-soft, ultra-smooth hair that shines with health every day. Just like our multi award-winning Cleanse & Polish Hot Cloth Cleanser, we’ve kept things simple by creating one Botanical Shine Shampoo which works on all hair types. With West African shea butter, natural source vitamin E, shine-boosting apple and orange extracts plus naturally derived cleansers, our shampoo gently cleans without stripping to leave hair soft, shiny and smooth. 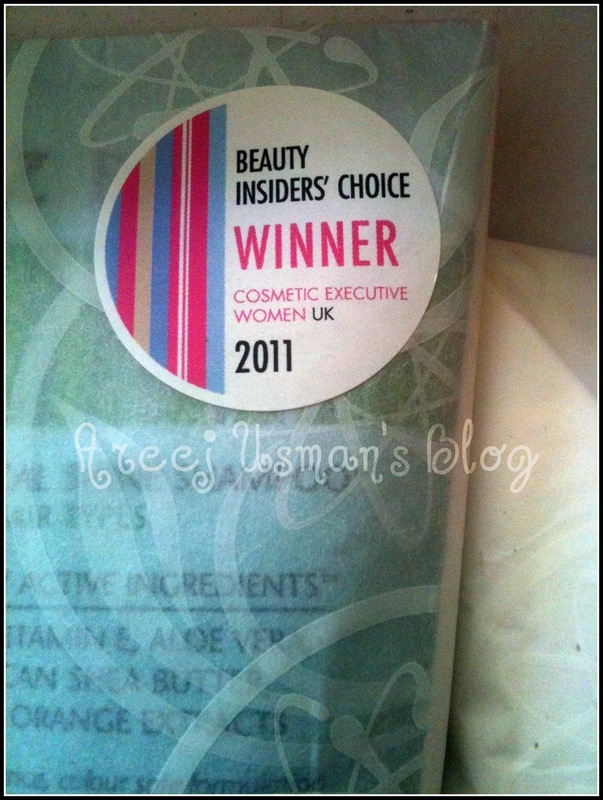 Contains no sodium lauryl/laureth sulphate. Wet hair thoroughly, massage into a rich lather from root to tip – a little shampoo goes a long way. 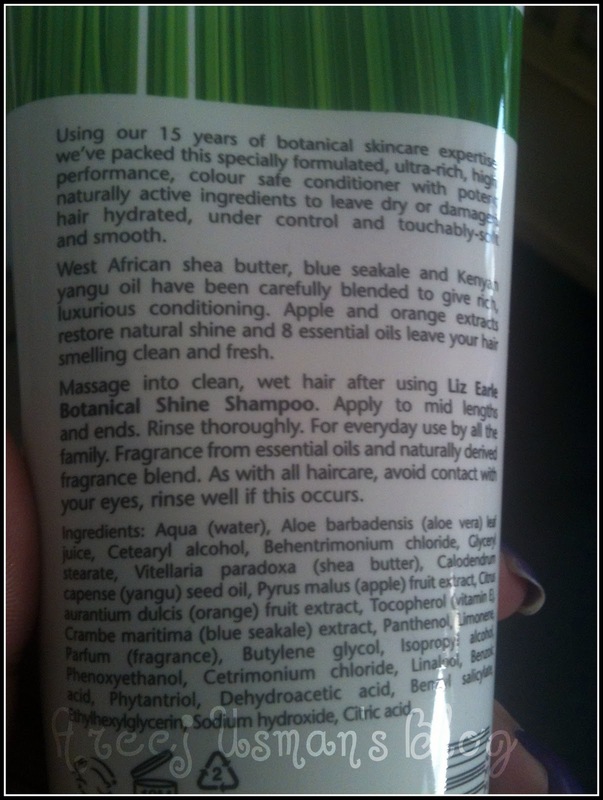 Naturally active ingredients include natural vitamin E, west african shea butter to moisturise plus apple and orange extracts boost shine. Specially formulated with West African shea butter, yangu oil, blue seakale and shine-boosting apple and orange extracts, our ultra-rich colour safe conditioner leaves dry or damaged hair hydrated, under control, soft and smooth. 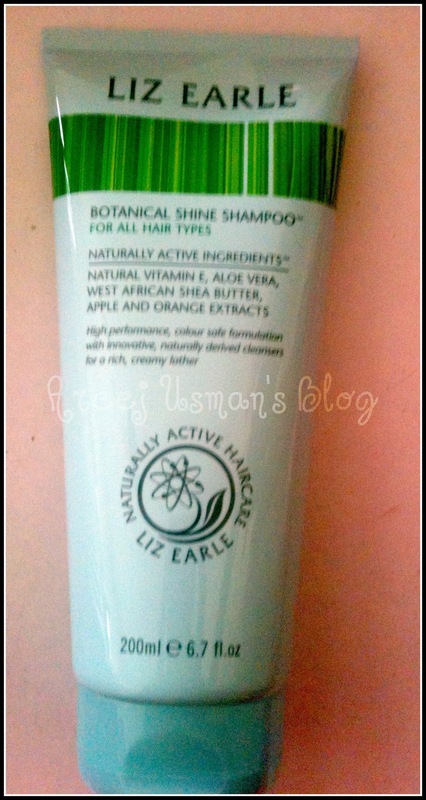 Massage into clean, wet hair after using Botanical Shine Shampoo. Naturally active ingredients include West African shea butter to moisturise, yangu oil to help smooth and soften hair, plus apple and orange extracts boost shine. 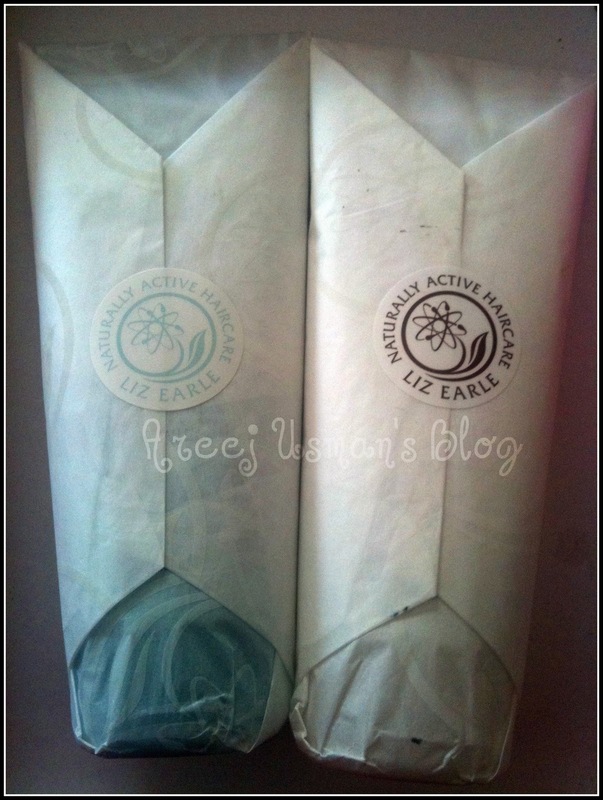 As all the products that I have used uptil now from Liz Earle have been either facial products or general skincare,this is my first experience with Liz Earle’s Organic Shampoos & Conditioner.The PR team asked me to choose a conditioner of my choice but I really didnt know which one would be best for me.So I explained my hair type to them & they suggested me the Conditioner for Dry or Damaged Hair.My hair is thick ,can be wild and unruly at times as its naturally curly.I really have a hard time taking care of my hair & Yes,I confess,sometimes I even neglect them badly.When it comes to oiling I hate the feel of oil thats why if someone doesnt compels me to oiling I never initiate myself!! Ok lets get the long story short & come back to the review! As I mentioned before I been using this shampoo & conditioner for two weeks with couple of washes each week I feel my hair is really rejuvenated.I am going to share my first time experience with you today.The length of my hair is big,if I pull the curly strands they come down to my back.When I saw the shampoo I thought I will have to use half of that tube on my hair to get a good wash but then I decided to go by what Liz Earle says:A little goes a long way.I only used a palm full of shampoo on my hair & WOW!So much lather that it actually covered my whole scalp.The lather is very creamy & substantial.Its got a lovely smell that is a mixture of fruity & spa-ish! 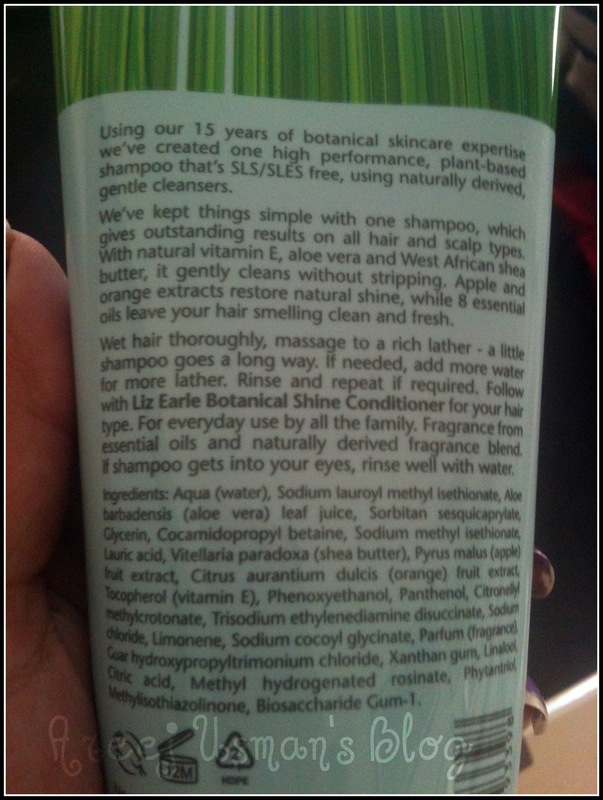 The shampoo has also recived a couple of beauty awards. Now coming to the conditioner,the same little goes long way theory works for it as well.As my hair is thick and curly I have to part my hair into portions and leave in the conditioner for some minutes so that It can actually work.This conditioner left my hair really bouncy and tangle free.The feel of my hair was really soft and even to the eyes they looked soft and pampered.I got a couple of remarks too about how different my hair was looking and that my curls were well managed too.Though I always use a curling mousse to accentuate my curls but this time I wanted to see what the conditioner really did to my hair & I am so surprised that it gave a proper definition to the curls too.Here at the end of the post I am sharing a pic of my hair after using the shampoo & conditioner for the first time. I am happy & satisfied with this range of haircare products I have reviewed today.I would definitely suggest you to give ur hair the care they need.Get yourself a treat by buying the full size 200ml tube for £8.00 or the 50 ml sample size for £4.25.You will be happy & so will be your hair. thanks for review areej you have naturally wavy hair??? ?